Tell me if this doesn’t sound like a dream come true for those who regularly visit survivalist forums: In the near-future, the United States experiences a collapse of its economic institutions, which leads to the collapse of every social institution mankind has built to function as a society. All order has been destroyed, and from now on your survival against the challenges of nature, both human and not, depends on nothing but yourself. The classical dog-eat-dog world is in session. Hiram, the protagonist in Darin Bradley’s debut novel Noise, has spent his formative years immersed in the group narratives that he and his friends have created through playing Dungeons & Dragons, defeating monsters and rescuing the disadvantaged, as knights are wont to do. But for Hiram, being a knight wasn’t something he was when you were transported into an imaginary world; it was his identity. Throughout his life, Hiram’s goal has been to find a model, a narrative, from which to make sense of the world around him, be it his family, his knighthood, or religion, but they all end up failing him. I tried to convince myself once, when I was a teenager, that I felt God. Alone in the sanctuary, accompanying my mom on an evening errand to the church. I stared at the ceiling and drew deep breath as quickly as I could. I told our youth minister in his ball cap that I had felt Him. That I was blessed. But in the end, it was only the wind and the rain, making noise in the darkness. Now in college, before the collapse, Hiram and Levi, his best friend still from the days of D&D, have become part of Salvage, an underground pirate group that have taken hold of the old analog wavelengths to broadcast advice and plans for how to conduct yourself when the inevitable collapse comes. In a way, Salvage is just another group for Hiram to build his own identity around. He stops going to classes, starts spending his money on supplies that he and his eventual group will need to survive, and he and Levi begin to write The Book, a sort of instruction manual built from the disparaging sources of Salvage, and ranging from how to escape to your designated safe house, to how to set up the government of your new community. Above all, The Book emphasizes the need to take on a new identity and build a new narrative for yourself and your family, a narrative that will serve you for the changed times you will be living. You take on new names, and by extension you become a new self. Bradley uses a stream-of-consciousness style that reminded me somewhat of Chuck Palahniuk’s Fight Club, and regularly jumps around in both time and place, emulating the inchoate thoughts going through Hiram’s mind as events beget memories, and memories beget more memories. As with most novels that employ this style, it was a bit confusing at first while I was still adapting my reading context to the novel’s, but once I got used to it I found that I couldn’t imagine it being written in any other way. Noise was written, by Bradley’s own admission, before the economic crisis of 2008 hit its full swing, but it certainly feels like the direct answer to those events, and to the general mistrust in the modern economic-political landscape. I think I’ve put it best in this review’s tagline; Darin Bradley’s Noise is the Lord of the Flies for our modern times, and it certainly is a dystopic imagining that feels more possible, and therefore more relatable, than Golding’s. I wouldn’t have noticed this book if Bradley’s newest novel, Chimpazee, hadn’t been included in Locus’ 2014 Recommended Reading List, and it’s a shame there isn’t more buzz surrounding both the book and its author. Noise is certainly a recommended read. Publication Date: August 31, 2010. This haunting debut from a brilliant new voice is sure to be as captivating as it is controversial, a shocking look at the imminent collapse of American civilization—and what will succeed it. In the aftermath of the switch from analog to digital TV, an anarchic movement known as Salvage hijacks the unused airwaves. Mixed in with the static’s random noise are dire warnings of the imminent economic, political, and social collapse of civilization—and cold-blooded lessons on how to survive the fall and prosper in the harsh new order that will inevitably arise from the ashes of the old. Hiram and Levi are two young men, former Scouts and veterans of countless Dungeons & Dragons campaigns. 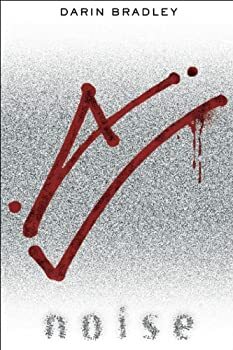 Now, on the blood-drenched battlefields of university campuses, shopping malls, and gated communities, they will find themselves taking on new identities and new moralities as they lead a ragtag band of hackers and misfits to an all-but-mythical place called Amaranth, where a fragile future waits to be born. JOÃO EIRA, one of our guests, is a student at the University of Coimbra in Portugal, one of the oldest universities in the world, where he studies Physics and Economics. Having spent his formative years living in the lush vistas of Middle Earth and the barren nothingness in a galaxy far far away, he has grown to love filling his decreasing empty bookshelf space with fantasy and science fiction books. For him a book’s utmost priority should be the story it is trying to tell, though he can forgive some mistakes if its characters are purposeful and the worldbuilding imaginative. A book with no story can have no redeeming quality though. João probably spends more time fantasizing about books than doing productive things. This sounds like the kind of message-book I usually hate, but your review has brought me around. I will probably read this one. I don’t know that it’s a message-book, it’s more of a study on identity, maybe self-deception and psychopathy. The financial collapse is background, taken as a given. I wouldn’t be that excited to read it either if you were to describe it to me, but I wanted to read something outside the range of books I usually read, and since I knew nothing of the author other than he’d been included in the recent Locus list and was well reviewed there I decided to give it a shot. It’s a short work as well, so it’s not like you’ll spend two weeks on it. I think you’ll like it. Noise sounds pretty interesting. And the Locus recommended list seems like a useful one for discovering new fiction. It’s disturbing that only 5 out of 28 sci-fi novels are written by women, but hopeful that 8 out 11 first novels are. Still a huge dearth of black writers: I count 3 among all the novel entries (sci-fi, fantasy, YA): Nnedi Okorafor, Alaya Dawn Johnson, and Jennifer Marie Brissett. Interesting that no black men write in SFF. There’s David Anthony Durham and Daniel Jose Older and. . .?